Wommelgem based AAR Sound & Light takes care of Bandits’ touring gear. It’s a compact digital setup, build around 2 Compact Yamaha consoles. 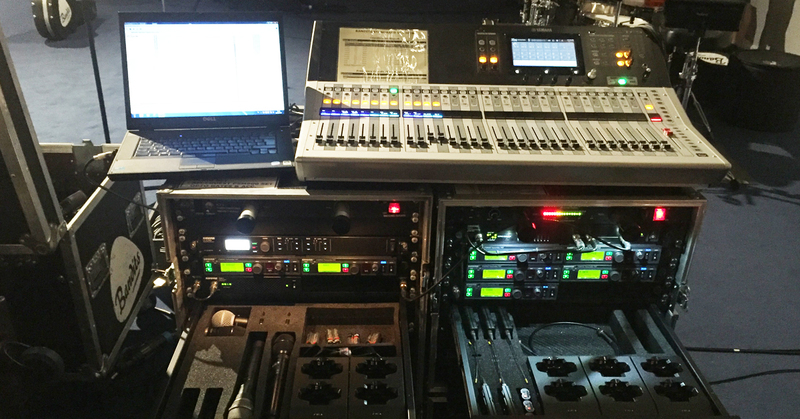 The monitor setup was recently upgraded with brand new wireless solutions for In-ear monitoring and a fresh set of ULX-D’s are carrying the band’s lead and backing vocals. 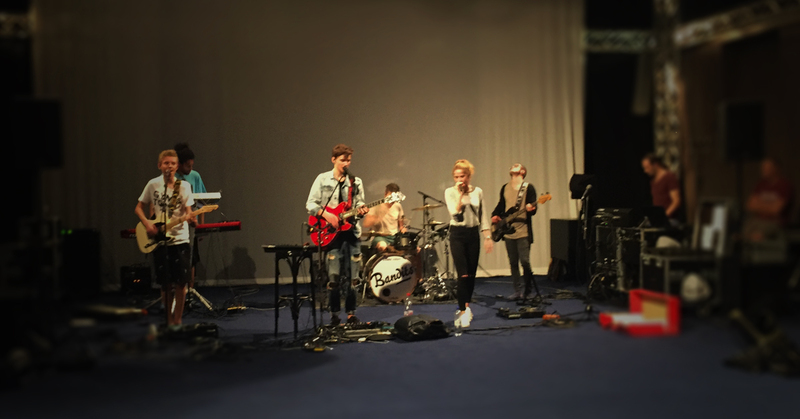 We caught up with the band prepping for the upcoming festival season at FACE, rehearsing with guest star and Eurovision Song Contest finalist Laura Tesoro, backed by sound engineers Roel Verbist and Wouter Vander Veken. Roel, who has been Bandits’ dedicated monitoring engineer over the last 9 years explains: "We have been trying Shure out for a while now, and the overall performance has been absolutely great. For us it was a logical step to move forward with the PSM900 system. We've tested the system on several occasions now, and we are still very impressed with the range of the system." Microphone wise the setup has been upgraded from a single to a double Shure ULXD receiver. One of the systems is fitted with an existing EV head, while the other is fitted with a Shure KSM9. A Classic SM58 head and backup KSM9 are also present in the set, and can be easily swapped when required. 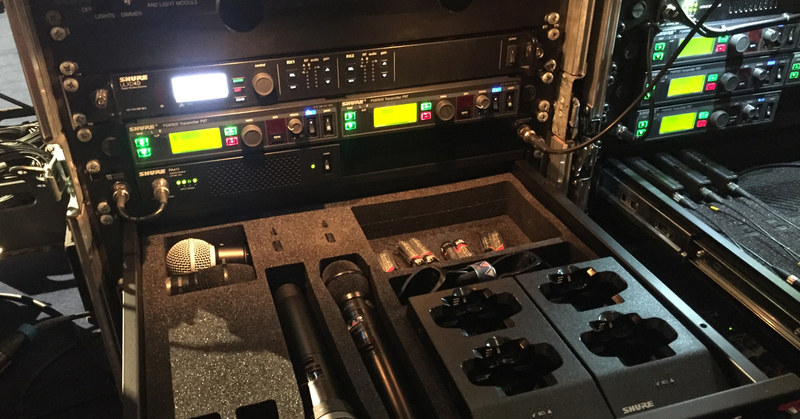 "We program the setup with Shure's dedicated Wireless Workbench - We recently ran some frequency benchmark tests, and the results were absolutely perfect" comments Roel. "The distances we can cover with it on 10 milliwatts of power are so impressive- In fact, the only time we've ever switched a notch higher, is to test it for our own curiosity." The crew uses an RF Venue CP Beam antenna to capture the signals, with great results. Besides vocals, the guitars and bass are also running cable-less with Shure GLXD6 pedal receivers. 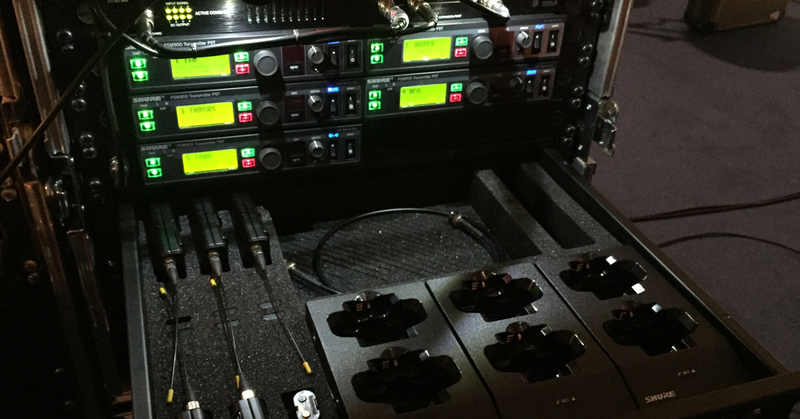 The entire wireless setup is integrated in 2 compact rack cases, where they accompany the mixer’s digital stage boxes. The set is compact enough to allow very quick build-ups without compromising on performance. The rack also houses compact drawers powering the charging stations for the systems' batteries so the band never runs out of juice. You can catch Bandits at festivals all throughout the summer. They are playing Mainstage at Genk on Stage, Suikerrock, Marktrock, and many more. Visit bandits.be/agenda for upcoming dates and info.